Take a look at the colorful fire hydrants I found in a gated community out on Long Island. It's obvious someone has a sense of play and good humor. I thought they were perfect for Ruby Tuesday. In a couple of weeks it'll be Thanksgiving for U.S. Americans. Feel free to begin posting Thanksgiving decorations if there's some RED to show. 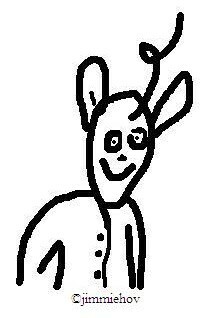 Don't forget to sign Mr. Linky and leave a comment. 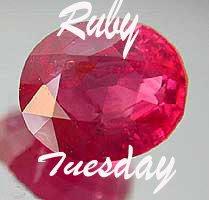 And please visit all the others that participate in our Ruby Tuesday meme! One won't miss those fire hydrants if need be! Fun too that they have colorful hats! Liek the boyscouts! Shh... Do not let The Tonka Unit see this post! I can't afford to replace my computer right now! This weeks offering is a little more conventional, but I like it anyway. I like the red hydrants, most of the ones around here are yellow. The red is the more classic color, and tjese are nice! Those are great shots, I here around here you can paint them any color as long as its not camouflage. Those hydrants could pass as cartoon characters! What a find! Very cool hydrants, Mary. I like them painted red. LOL, do they color code their dogs to match? Love this post. 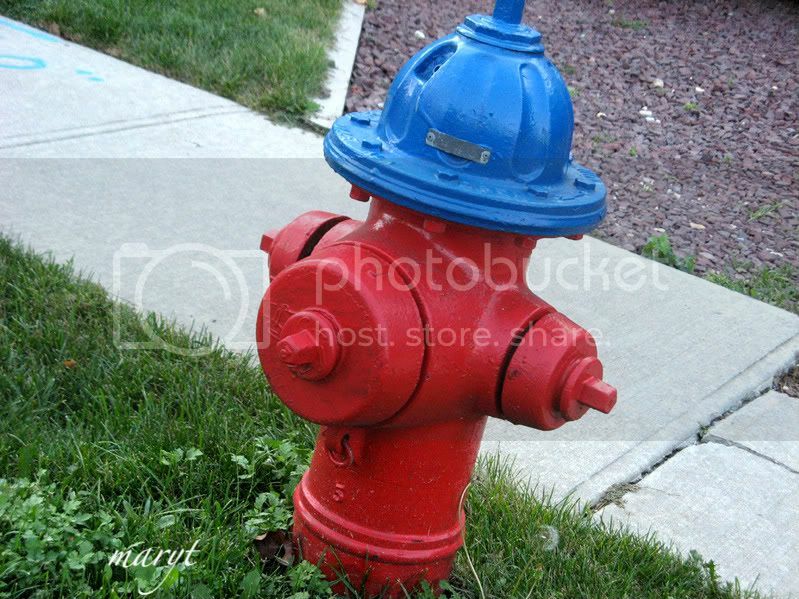 Colored caps for the hydrants, definitely beats those plain full red ones we normally see. I love this series of photos. It looks like they're wearing different-colored hard hats. Great angles too! You have another award waiting for you here . . .
My Ruby Red is posted early. :) I'm just so darned excited for tomorrow!!! The hydrants here are all yellow. I miss seeing some good old red hydrants. Thanks for the fix. Mine Ruby Tuesday is up at Small Reflections. Those fireplugs look great! I wonder who the mad painter is? 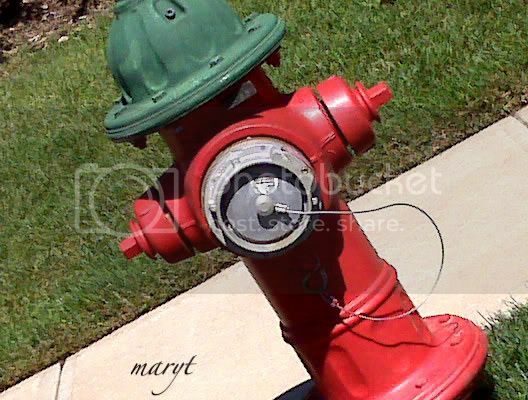 Love the fire hydrants Mary! The first one with the orange top looks like a little guy wearing a hardhat! Acutally they all remind me of that. Great looking fire hydrants! They have so much more personality than our plain old yellow ones. When we first moved here, all the hydrants had red metal flags on them, up on slender poles about 4 feet tall. Imagine my alarm when the neighbors told me the flags were there so the fire department could find the hydrants under the snow. Looks like firemen. Happy RT and have a great week! I am trying for the first time to do this meme, I got really mixed up and signed in on the wrong day I think...I will improve and do better next time, please excuse me. Mary, I like your red fire hydrants. Ours are orange with green hats. Not good for RRtU. Mine today? "Bus, de bus, de bus!" How funny, I did a fire hydrant today too. Yours are a lot cuter though. Mine is sort of the ugly uncle who stayed out too late last night and didn't shave. I love the hydrants! What a nifty idea. think the ones around here are yellow... but I don't actually know for sure. I actually have flowers in my Ruby Tuesday this week... flowers and creepy stalker-ish shots as well... because, you know.. why not? Each of those hydrants is great. Good seeing! One of those city opportunities you have. Happy Ruby Tuesday! I have a comment about the new look of your website. I do like the way it looks, but now the links of the RT posters don't show a different color when they've been visited. Since it's almost impossible to visit everyone, it's really handy to know which ones you've been to lately, in case you forget, and I personally tend to forget a lot. Any chance that feature of a new color for visited links can return? I stepped bare-footed on 36 blades and washed in a cauldron of boiling oil. These are Taoist rituals. Lovely shots! The different caps are gorgeous. One more comment from me: Don't they all three look like little guys with helmets? Good idea to paint them in different colors, lol ! Good luck today for the elections !! I love those, they're cute Mary! What a great idea! I posted early, but I forgot to sign the mR Linky!! Aaargh! These are Fabulous Fire Hydrants, haha. They look like they're wearing little hard hats. I've done a very Peaceful Ruby Tuesday post this week. Love these fire hydrants, the way they have been painted in different colours is great fun! Like you I am looking forward to Christmas (we don't celebrate Thanksgiving over here, although we do have Harvest Festival in September, albeit on a much smaller scale & not a national holiday :-) Although Thanksgiving looks like a lot of fun! Pretty fire hydrants! Makes me want to post mine in a week or so...thanks for letting me participate in my first Ruby Tuesday! Awwww! They are little red men in hard-hats! I LOVE them! 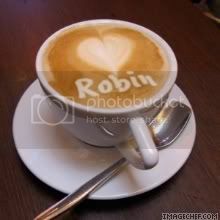 Love these, very creative and a fab Ruby Tuesday. Another great edition of RT. Thanks Mary. And they ARE perfect for today. The only place in Norway one can find "American" fire hydrant, is my birthplace, Sauda. The Union Carbide factory was set up in 1920, with a hospital, schools, park, houses for the workers..and these fire hydrants. They were green with red "hats". Now you've made me quite nostalgic with your photos. Thanks for lovely memories. Those are nice - and all shiny and loved... like little tiny fire persons. I hope to get back to Ruby Tuesday and to try my hand at the Sepia post once return to sanity... or as close as I come. Love your fire hydrants! I voted today, too! those are cool fire hydrants, ha ha. I never see any around here. 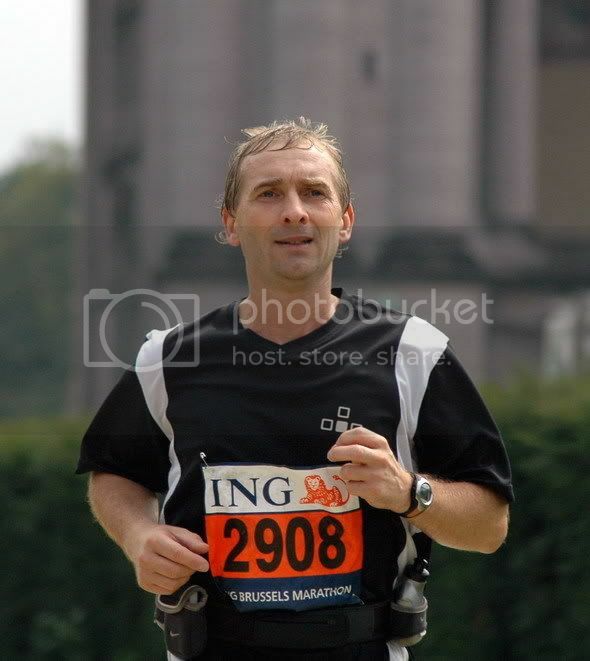 come check out my Ruby Tuesday picture, thanks! I am a bit late in finishing my Ruby Tuesday. I have dedicated it to Donna for her birthday and had to download so many pictures!! PS Mary T....Adi sure would love these fire hydrants! 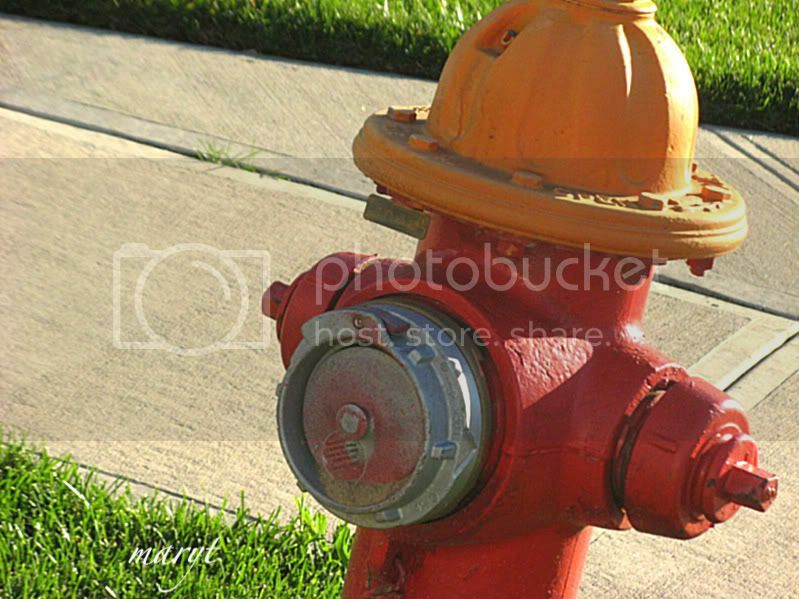 Love the fun they had with the fire hydrants, the photos are great! Happy Ruby Tuesday a little late!